All our pets are rescue animals. Philosophically we believe that there are plenty of pets out there looking for homes and adding rescues to our family is making a small but significant contribution. We allow ourselves one cat and one dog. 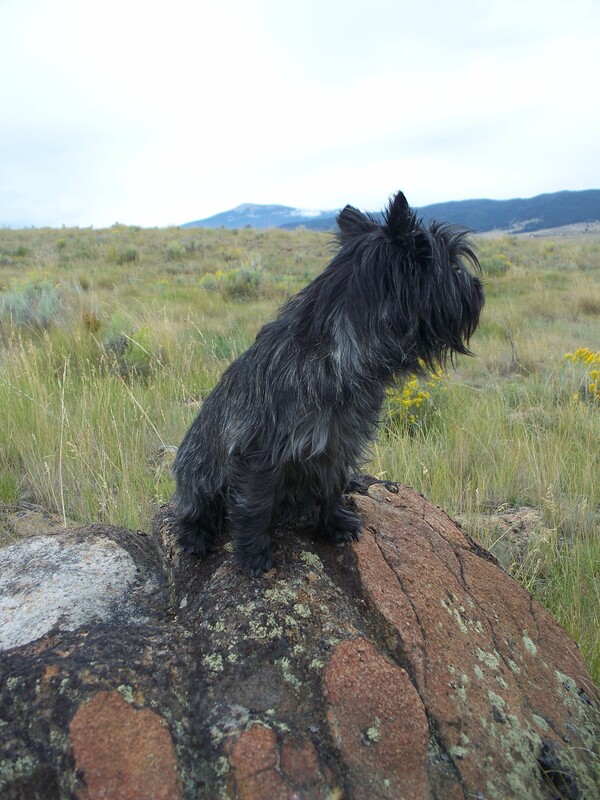 We have a Cairn Terrier we adopted from a local rescue organization when he was five-years-old. He is just 15 pounds, but he has the name of a hog, Harley. Though I never imagined I’d really be enamored with a small dog, Harley has proved me wrong. 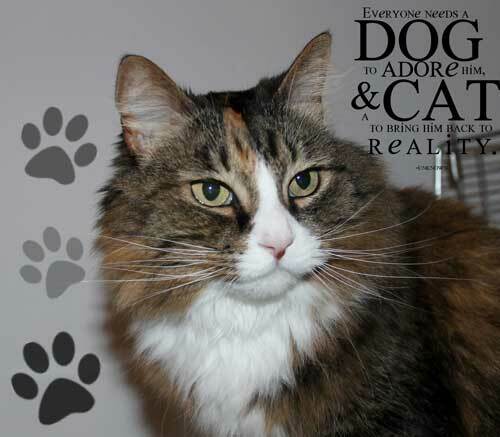 Harley is a shining example of what one can find in a shelter. Harley is my constant companion. He is a little trooper who loves to walk with me no matter how far the distance. He likes to be in the same room with his human but has no interest in being a lap dog, nor putting unreasonable demands on you. Harley spends most days on an over-sized bed sleeping the day away in my office while I work, but if I head out the door he is a country dog at the drop of a hat. He always goes with me to do chores not matter the temperature or wind. He is first the chicken coop and waits patiently while I let my flock out or put them away. No chasing the birds for this boy, though I would love it if he could heard them in at night when they were not ready to be put away. We adopted an almost 11-year-old cat from the shelter. As I write this she has not been here even a day, so we are all learning about one another. She has yet to tell us her name. If Abby tolerates you, you’re ahead of the game! Your babies are adorable! Especially Beau & Harley! Glad you rescued yours too! You have the real Wizard of Oz pup! People are often commenting that my Yorkie resembles Toto, but she really doesn’t look much like him. I just treat her like Dorothy treated Toto 🙂 . I’ve always had a soft spot for Montana, and reminds me of one of my favorite movies, Legends of the Fall. Some day, we hope to stop through and visit the beautiful country. Now this inspires me to post pictures too! What a noble picture of Harley! !